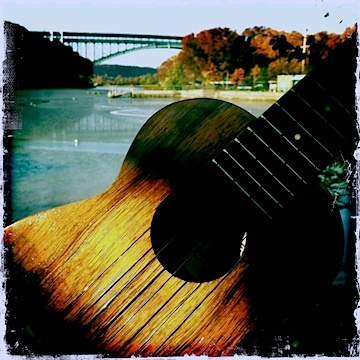 You are currently browsing the The Accidental Hawaiian Crooner blog archives for November, 2011. In October of 2011, a new album was released by recording artist, RAIATEA HELM. What is the name of that album? You guys know your stuff!! The answer is A. Sea of Love. I haven’t heard it yet–well, I’ve listened to the samples on the album’s page at mele.com, but I haven’t heard the album all the way through, yet. But I’ve been told it’s wonderful! Please check out Raiatea’s website by clicking HERE. And this week’s winner, chosen randomly from all of the correct answers, is… (Drum roll, please…) KATE FERRIS! Congrats, Kate! You’re this week’s Trivia Superstar! 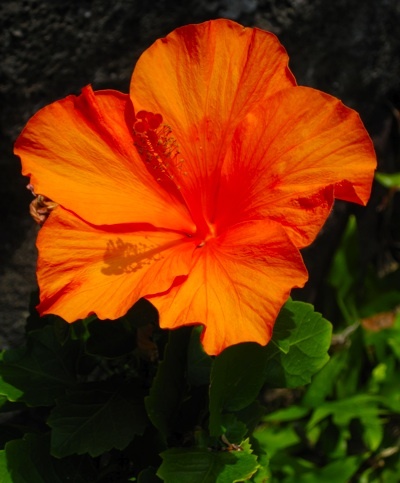 A giant MAHALO to each of you who participated in in the challenge this week. And I hope you’ll play next week, too! Last Thursday, I wrote about a new 6-week residency that I have at an elementary school in NYC as part of their after-school program. 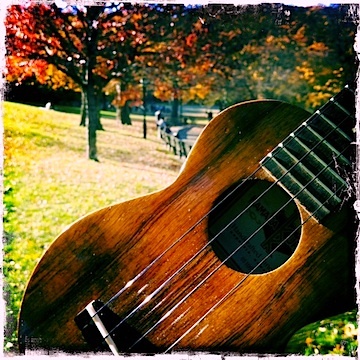 I’ve been brought in, one day a week, to share the joys of strumming the ʻukulele. And if you’ve ever met me, you know that I can’t talk about the ʻukulele without sharing stories about Molokai and the other Hawaiian islands–and even a little school-kid-kine keiki hula for fun. In my mind, they’re not exclusive. Each supports the other. Here’s the funny thing: they bring me to the school to educate as well as to enrich the school experience for these amazing kids. And I can honestly say that I am being educated–and absolutely enriched–by my time working with them. Today I brought my ipu heke, a double headed gourd that is often used for percussion in hula and Hawaiian music. 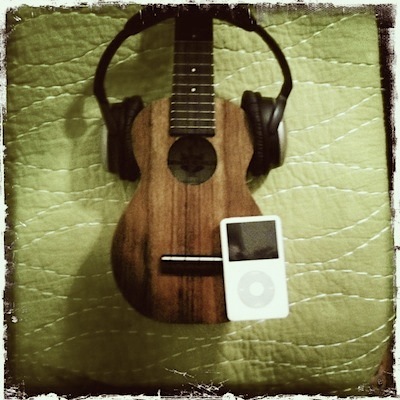 Then we took those very same rhythms we’d been clapping and strummed them on the ʻukuleles. Working on chord progressions with them can be-well–a challenge. I might have up to 18 students at a time, ranging in age from kindergarten to second grade. And I’m getting them after a full day of classes. So attention spans tend to be shorter. And I’m one teacher trying to share hand positions with18 kids all at once. 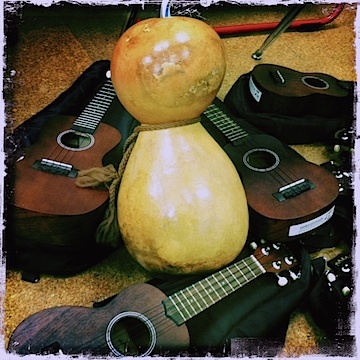 We do a lot of open chord strumming on the ʻukulele! It’s like magic when they’re all strumming together. Some of the most beautiful music I’ve ever heard. Yes, I’m exhausted afterwards. But it’s a good kind of exhaustion. It comes from doing something fantastic.